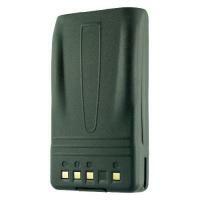 The CodeRed aftermarket replacement battery for Kenwood KNB55L is outfitted with 7.4V and a 1500 mAh capacity. It is equipped with a superior 1-year warranty, and widely known for its long-lasting materials. The highly durable battery replacement is the leading choice for technology owners across the globe. Whether you need it for a camping trip, everyday use, or as a spare, you will not want to be caught without it. It works with the following radio models: Kenwood: TK2360, TK3360.